All across the world, Indian culture is widely known for its richness and its diversity of its deep culture. Its history dates back to the earliest times of human civilization. Hence, India has been the nation of spiritualism for ages and this has naturally influenced the India cinema. If not many there are a few big-budget series, cinemas and animated movies on Hindu deities and epics because movies form a major part of people’s social characteristics. Here is the list of 10 Movies based on Hindu Epics and Gods. The Mahābhārata is an epic narrative of the Kurukṣetra War and the fates of the Kaurava and the Pāṇḍava princes. It is a powerful and amazing text that inspires awe and wonder. It presents sweeping visions of the cosmos and humanity and intriguing and frightening glimpses of divinity in an ancient narrative that is accessible, interesting, and compelling for anyone willing to learn the basic themes of India’s culture. The Mahabharat definitely is one of those creations of human language and spirit that has traveled far beyond the place of its original creation and will eventually take its rightful place on the highest shelf of world literature. The epic book of Mahabharat is completely picturized in this movie. The much complicated Hindu story is cleverly shown and conveyed to the audience. Traditionally, the authorship of the Mahābhārata is attributed to Vyāsa and this series is directed yet again by Babubhai Mistri where the star cast of the film includes Abhi Bhattacharya as Krishna, Pradeep Kumar as Arjuna, Dara Singh as Bhima, Padmini as Draupadi, and Jeevan as Shakuni. Film’s music is composed by Chitragupta and the title song is sung by the legendary singer Mohammed Rafi. The Serial portrays the story of Lord Rama in a most aesthetic manner and carries a lot of Devotional value. Sampoorrn Ramayan is the epitome of the triumph of good over evil and boasts of noble virtues. As a soothing spiritual balm, Sampoorn Ramayan gives a lesson on our deep-rooted culture, traditions and the heritage of pure ethics and principles. It is a movie directed by Babubhai Mistry is based on the Hindu epic Ramayana which was originally written by Valmiki. In the cast, Mahipal and Anita Guha played the characters of Shri Ram and Sita respectively. It became a huge hit and made lead actor Anita Guha, a household name. The ‘nightingale of India’, Lata Mangeshkar sang two most popular class semi-classical songs in the film, i.e. ‘San sanan sanan ja re o pawan’ and ‘Badalon barso nayan ki or se’. An Avatar of Shiva, born to Anjani and Marut was Hanuman, who was also known as Mahabali (the Mighty One). This is the epic of this mighty being who was very wise yet humble in his devotion to Sri Rama, the prince of Ayodhya and a god among men. This series is directed by Babubhai Mistry who shows his great devotion towards spiritualism and Hinduism. 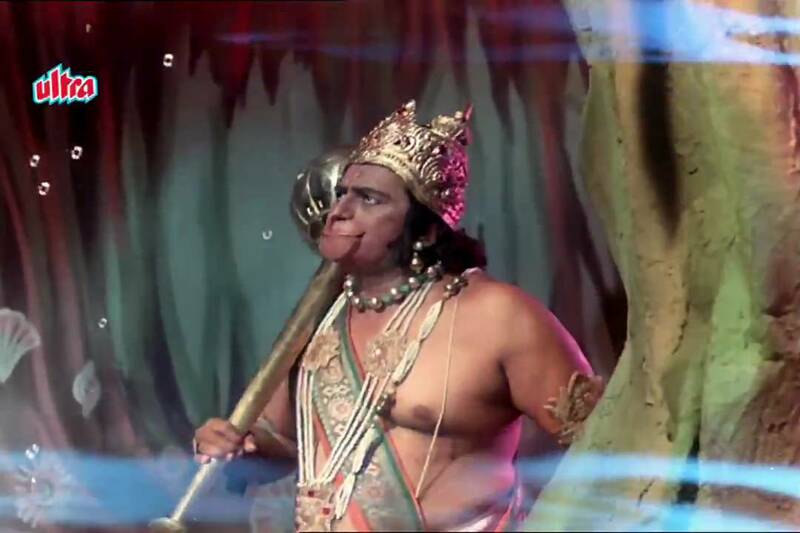 Hercules, Rakesh Pandey, and Kavita Kiran played the roles of Hanuman, Shri Ram, and Sita respectively. The film depicts the life story of Hanuman and centers on both his childhood triumphs and adult adventures. This is a great movie for kids as well for the adults. This movie is about Santoshi Maa who is the daughter of Sri Ganesha. It shows the immense devotion of a true devotee of Santoshi Maa i.e ‘Satyavati’.This film is directed by Vijay Sharma and became one of the top blockbusters of all time. The film is starring Bharat Bhushan, Kanan Kaushal, Ashish Kumar, and Anita Guha in lead roles. It is inspired by a Hindu folk tale and features the earthly fall out of a clash between deities. The story of the film features Satyawati as a follower of the goddess Devi Maa Santoshi. The other goddesses, being annoyed that she’s so powerful, decided to examine her perseverance by creating Satyawati’s life miserable. Jai Santoshi Maa is one of the best devotional movies of India. Char Dham are the four most sacred places present in four directions of the Indian subcontinent. It is believed that the person who visits all these places in his lifetime, will be free from all his bad deeds.“It is the ultimate dream for anyone to visit the most celebrated and sacred Char Dham at least once in one’s lifetime” these words by Adi Shankaracharya inspired the making of the movie Char Dham. 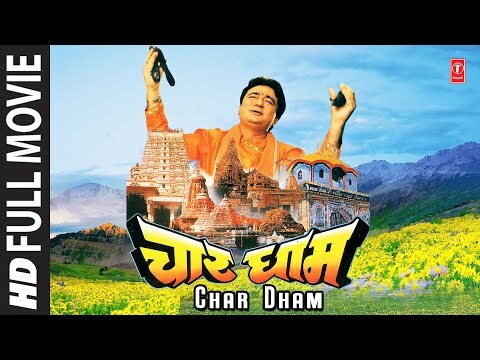 Char Dham is a film directed by Uday Shankar Pani. The star casts of the film include Aloknath, Kulbhushan Kharbanda, Gulshan Kumar, and Pooja Ghai. Film’s music is given by T-Series with Hariharan, Sonu Nigam, and Anuradha Paudwal as playback singers. So, promoting this belief, the movie showcases an example of a person who got rid of his miseries by visiting these places. Lord Shiva – the supreme god in Hindu Dharma is known to us by many names, he has 108 different avatars with different names. He is the ultimate creator and the destroyer of the universe. Multi-faceted, Lord Shiva is the giver of wisdom and this movie has completely shown his life and stories. It is a must watch the movie if you want to feel the powerful presence of the Lord. Shiv Mahima is a tribute to Lord Shiva, starring Arun Govil, Kiran Juneja, Kewal Shah, Gajendra Chauhan, Reshma and Gulshan Kumar. The film is directed by Shantilal Soni and music is given by T-Series. Shiv Mahima aswell, is one of the best Devotional Movies in Hindi. Prahlad is very famous for his devotion towards Lord Vishnu. His relationship with Lord Vishnu was incomparable and praised by all. When the kingdom’s emperor, Hiranya Kashyap, finds out that Prahlad is engrossed in worshiping someone else, he has him summoned and asks him to forget Vishnu and instead worship him. However, after Prahlad’s refusal Hiranya Kashyap decides to kill him, his family, and all of Vishnu’s worshipers, with Prahlad being selected to be burnt alive. Thus, a miracle from Vishnu saves young Prahlad from being burnt alive. The very famous story of Prahlad whose devotion did not burn him in the blazing fire is known to all. The entire life history and experiences of Prahlad has been shown in the movie. The movie is directed by Chandrakan and the music is composed by Kalyanji Anandji. The film stars Dara Singh & other artists of Indian film Industry, who portray different characters during the time of Prahlad. This movie can do wonders in influencing children in a spiritual way. Karwa Chauth is one of India’s most celebrated festivals of the Hindu community. The festival celebrates the pious bond that is shared between husband and wife. On this day wives keep fast for the whole day for showing their devotion towards their husband. And, they break the fast only after seeing the Moon in night by drinking water from their husband’s hand. Similarly, the movie Karwa Chauth is based on the very same festival and beliefs.This Indian devotional film is directed by Ramlal Hans, starring Ashish Kumar, Agha, Bharat Bhushan, and Kanan Kaushal. Lord Vishnu is regarded as the Supreme Being, protecting the Gods as well as mortals like us, from evil; and he has done so by incarnating in ten avatars. The movie explores the origin and the dynamism of each of these avatars, woven into an interesting narrative. These avatars are presented in this movie, as witnessed by two children. It promises to be a magnum opus with a superlative quality of animation, voices of many acclaimed actors and mellifluous music. Dashavatar has a fascinating storytelling pattern in which the old world sensitivities would appeal to the modern mind. The animated movie is written by Hriday Lani and directed by Bhavik Thakore. It stars Vinay Apte, Kenneth Desai, Rupali Ganguly and others. It is a very interesting movie and will surely make you think about the creation of the universe. Bal Ganesh is the story of the elephant-headed God, Lord Ganesh’s childhood. The story centers around the exploits of Lord Ganesh, his companion Mooshak, the mouse and their innumerable adventures. It features how Lord Ganesha is brought to life from a statue of clay and then blessed with various celestial powers; from the birth of Lord Ganesha to the depiction of Ganesh’s voracious appetite at Kuber’s feast, almost every funny event from his childhood has been portrayed in the film. It is an animated musical feature film directed by Pankaj Sharma.